Patricia Kelikani, Health Journalist (Co-host): The average American spends 13 hours a day doing this. Some researchers call it the “new smoking.” In fact, you’re probably doing it right now, I know we are, it’s sitting. Dr. Mark Reeves, Surgical Oncologist (Co-host): Many of us spend our waking hours sitting for eight hours a day or more with our leisure activities including even more sitting! It may seem harmless, but sitting for extended periods of time could lead to serious health problems. Dr. Ernie Medina, Loma Linda University Assistant Professor of Preventive Care: Chronic inflammation increases over time if you sit too much. Chronic inflammation is actually a root problem for most of our common big killers, cancer, heart disease, diabetes and stroke. KELIKANI: If you are experiencing a sedentary lifestyle or “sitting disease,” not only does chronic inflammation increase, but also bad cholesterol or LDL goes up and good cholesterol or HDL goes down. DR. REEVES: Even if you exercise regularly, but sit most of the day, you’re still not completely protected from those risks. KELIKANI: So how can you incorporate more movement into your daily routine? If you spend most of your day sitting, get up and move for one or two minutes every hour. DR. REEVES: You can also get an activity tracker that will alert you when you’ve been sitting for too long. Getting up and moving periodically throughout the day is key to protecting you from developing chronic diseases. A plus to standing is increased concentration. KELIKANI: You’ll have more energy due to better blood flow and better posture and core strength. When you stand, researchers recommend “active” standing, where you move around and shift your feet around. KELIKANI: Standing desks are also becoming quite popular in workspaces. Doctors recommend easing into a standup desk. Don’t forget to use proper ergonomics. Make sure the height is correct for your body. Wear comfortable shoes while you’re at the standup desk and stand on a cushioned mat. There’s your tip for the day on how you can live healthier, longer. After earning a Bachelor of Science in Health Science from Andrews University in Michigan, Ernie Medina, Jr., DrPH earned a Masters of Health Promotion and Doctorate of Preventive Care in Public Health from Loma Linda University School of Public Health (LLUSPH) in 1993. From 1993 to 2014, Medina specialized in lifestyle medicine including weight loss, stress management, and smoking cessation at Beaver Medical Group in Redlands, California while maintaining as a clinical professor position at Loma Linda University School of Public Health. 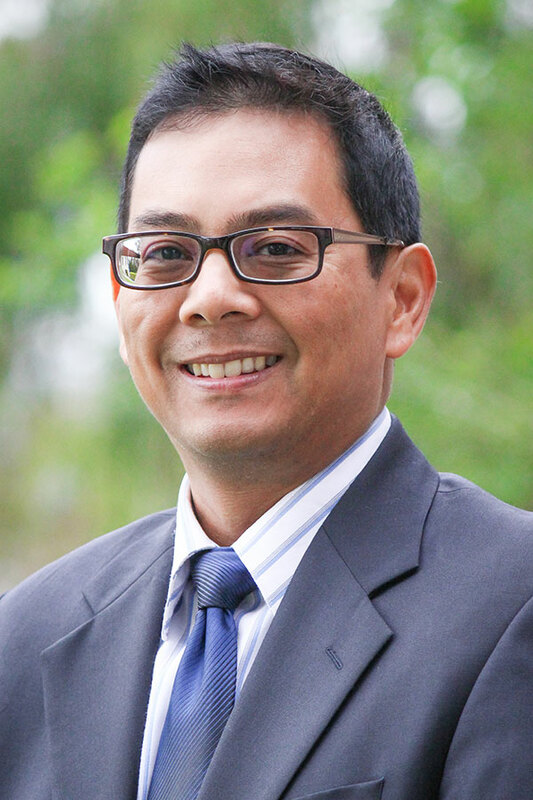 In January 2014, Medina joined the faculty of LLUSPH as an assistant professor and the Executive Director of the newly formed Center for Nutrition, Healthy Lifestyle and Disease Prevention. He is nicknamed the “Physical Activity Evangelist” for his constant promotion of various physical activity events for almost 30 years. Medina is always on the lookout for unique forms of physical activity that include digital health interventions such as active video gaming and mobile health game applications. His most recent interest is eradicating “sitting disease” (also known as hypokinetic disease) with active sitting, especially since joining academia where sitting disease is epidemic. Medina and with his wife, Keri, LLU School of Nursing Associate Professor, along with his 18-year-old daughter, Summer, and their two dogs, Roxy and Davy, practice what they preach on a daily basis. Healthy living. Holland, K. J., Lee, J. W., Marshak, H. H., & Martin, L. R. (2016, in press). Spiritual Intimacy, Marital Intimacy, and Physical/Psychological Well-Being: Spiritual Meaning as a Mediator. Psychology of Religion and Spirituality.